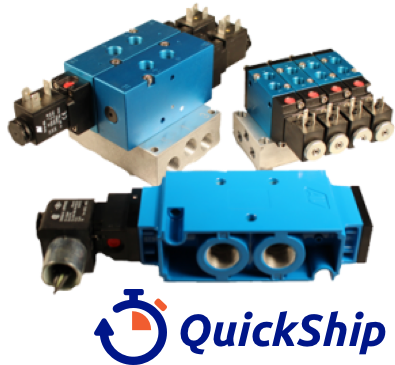 Our compact inline and manifold mounted valves, SAE and ISO base mounted valves, and inline poppet valves provide quality, cost-effective solutions for automation applications. Our Heavy Truck Valves are available in aluminum or stainless steel with our proven bidirectional tapered Tee-seal for applications including heavy-duty levers, bottom dump trailer valves and manual push/pull valves. Low temperature, low power NEMA 4X coils, and other options are available. Our process control solutions encompass a full line of Namur solenoid valves with our proven bidirectional tapered Tee-seal that provide trouble free operation even under harsh conditions. Options are available to meet a variety of applications, including low temperature, stainless steel, explosion proof or intrinsically safe operators. Our automotive valves are designed for the functional reliability that's crucial to the automotive industry – manufactured to ISO or SAE standards and built to last in demanding plant environments. We understand the importance of minimizing downtime and that waiting on a new part can be disruptive to your entire process. To keep our customer's operations running smoothly, many of our products are offered with a short lead time through our Quick Ship Program. When viewing our products, note that products bearing the Quick Ship icon are ready to ship the same day. Click the button below to get started. High quality, cost-effective automation, transportation, process, automotive solutions backed by personalized customer service and consultation. Placing the needs of our customers above all else has been at the core of our business for nearly a century making us a trusted source in the fluid power world. The value provided by Automatic Valve Industrial extends beyond the superior design and workmanship we put into every product we manufacture. Our customers receive cost-effective solutions without sacrificing quality, rapid delivery to reduce downtime, along with exceptional customer support to accommodate the unique needs of their applications. 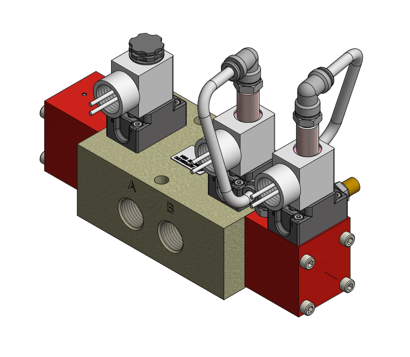 If your pneumatic application cannot be solved with an off the shelf product, we can develop a custom solution tailored to your requirements. On top of an extensive library of hundreds of proven, specialized products, our engineering and product development process allows us to deliver your custom solution quickly – sometimes in as little as two weeks from request to prototype! Contact us to get started.